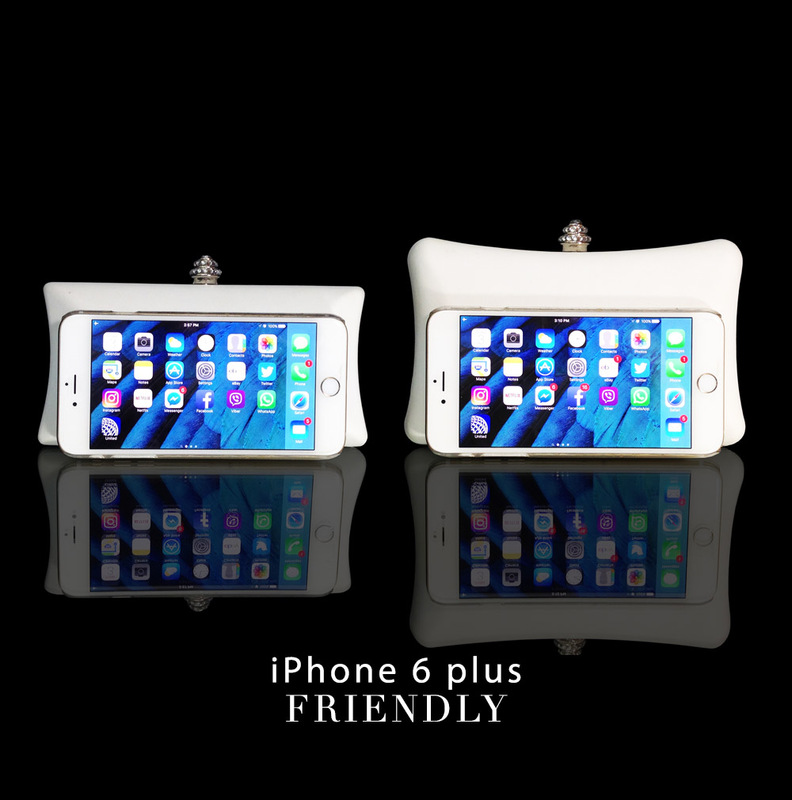 Personalized Large Clutch (iPhone Plus Friendly). Processing time: 20-25 calendar days arrival (custom handmade item). I order the slingback shoes last year in AB crystals, so I order the clutch in AB crystals to match last month, I got clutch it match perfect with my shoes. Gorgeous! Thank you for asking. 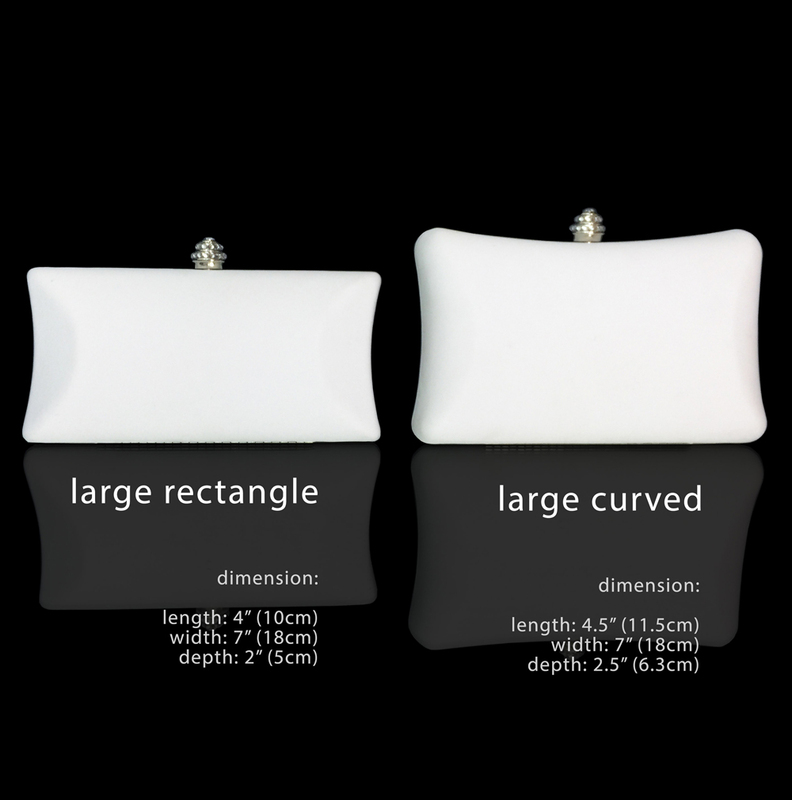 It's rare that a gorgeous purse is also practical, yet this clutch manages to hold everything and still look elegant. The closure is hefty & durable and will remain closed, even if you fill this clutch until it's full! 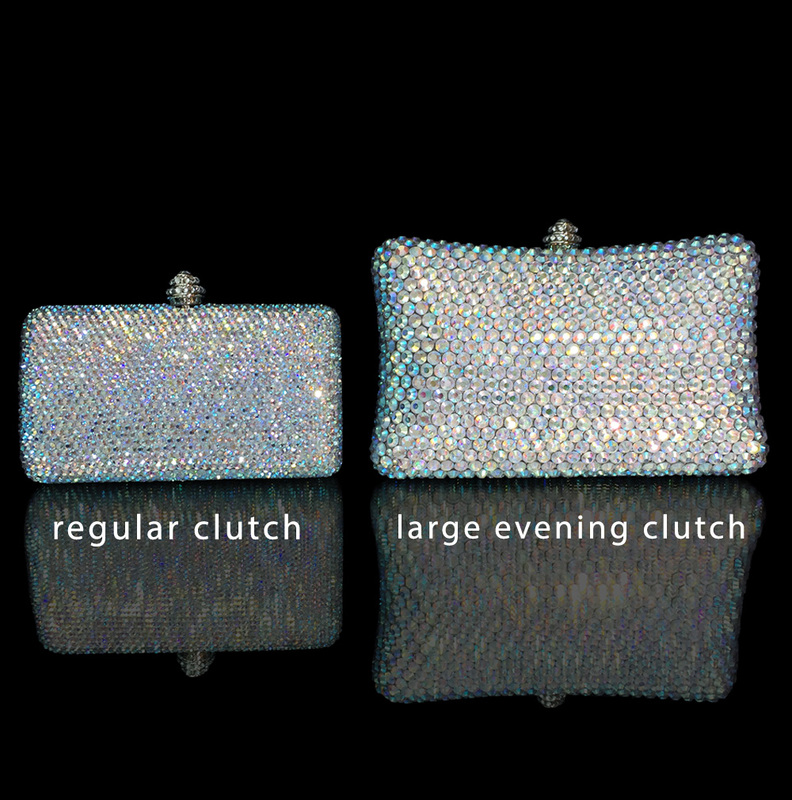 While not in use, you'll never want to keep this clutch in your closet; it's something you'll desire to have on full-display. 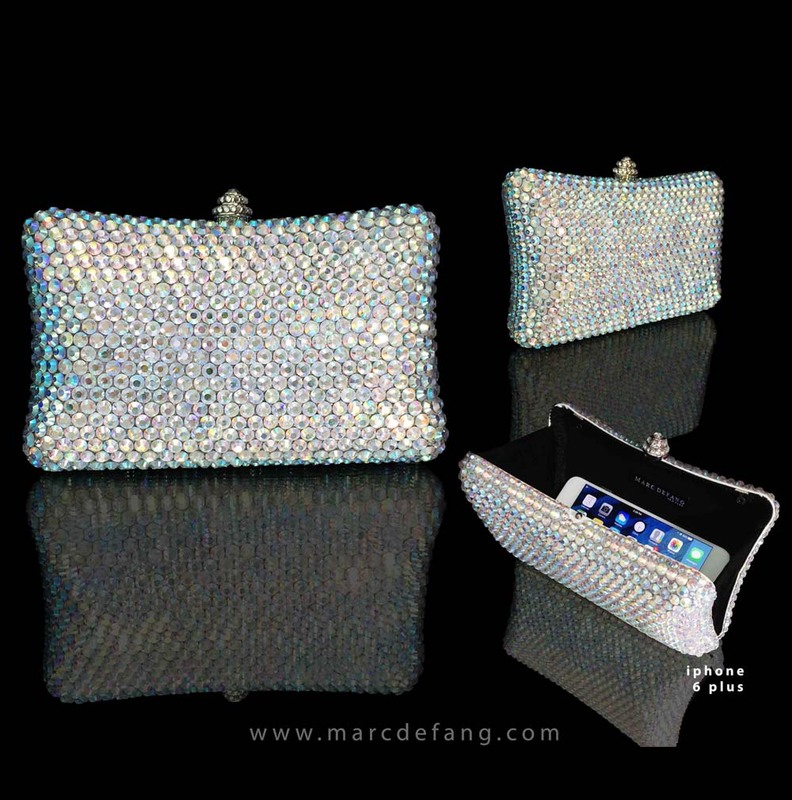 Hi Marc: I definitely love the purses for our state queens! They are beautiful! Thanks again for being a sponsor for our pageant system!